Liang Xi Mei (Jack Neo) is finally back! Now retired, Liang Xi Mei spends her time looking after her obedient grandchildren. 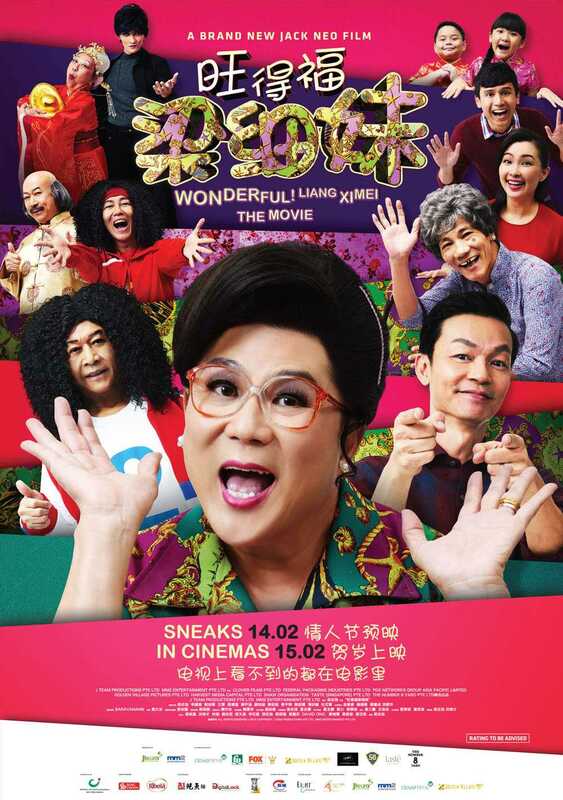 However, Robert (Mark Lee), her eldest son adds to her woes as he is always dreaming of making a fortune through easy means. She pins all her hopes on her youngest son, Albert (Benjamin Josiah Tan). Her favouritism stirs up jealousy within Robert, who vows to strike it rich to win Liang Xi Mei’s approval. By chance, Robert picks up the doll that is actually the Goddess of Fortune! She helps Robert but also appeals to him to be more down to earth and practical in his pursuit of success and wealth. Instead, he turns into an ingrate as soon as his hawker business takes off. His arrogance incurs the wrath of the God of Misfortune who decides to teach him a lesson. Soon, trouble ensues among Liang Xi Mei’s family and their best friends Guang Dong Po (Wang Lei) and Lion King (Henry Thia). Will they get through this headache of a situation together as a family?